Welcome to our Fitzmaurice Eco Page. We are all passionate about the environment, and are working hard to make our school Eco Friendly in many different ways. We do regular litter picks, empty the compost bins (which are disgusting!) into the compost bins, collect used batteries for recycling, and try to keep a beady eye on energy and water useage around the school. Our Eco Committee is made up of 2 representatives from each KS1 and KS2 class. These children have been voted for by the rest of the children. 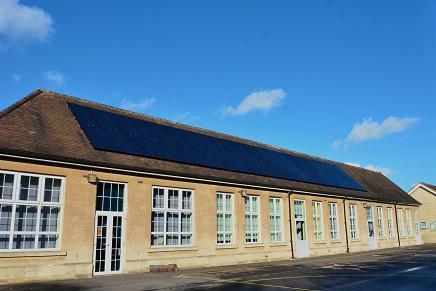 Our solar panels making clean green energy.